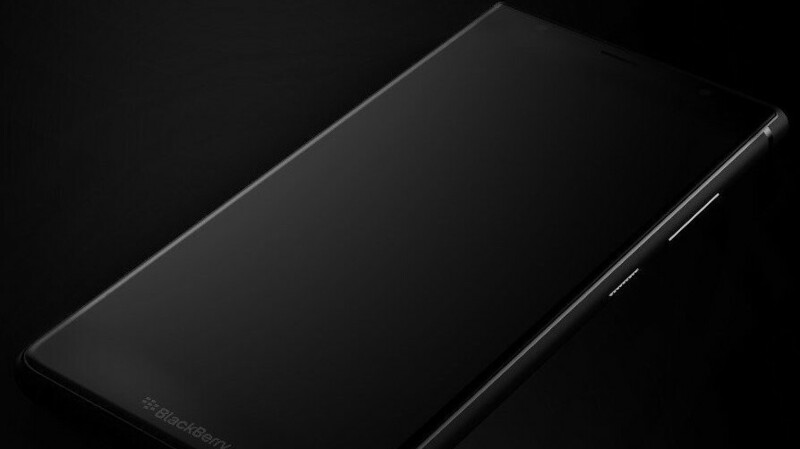 Another BlackBerry-branded smartphone is expected to be unveiled in just a few days in India. Initially known as Ghost Pro, the upcoming handset will be launched on the market as Evolve X, just as we've predicted two weeks ago. 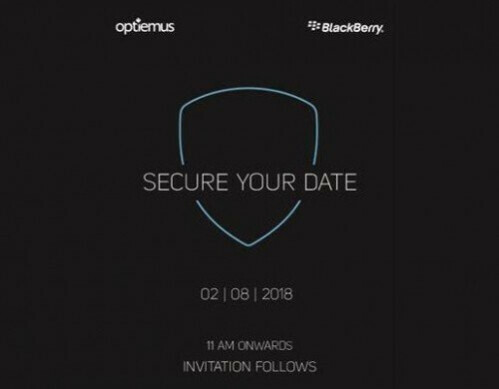 Optiemus Infracom, the India licensee for BlackBerry brand, confirmed it will unveil a new device on August 2. Even though the event invitation doesn't really say which phone is going to be made official, it's highly likely that the company will introduce the Evolve X. From what we've managed to learn, BlackBerry Evolve X is a full touchscreen smartphone with a near bezel-less design and a massive 4,000 mAh battery. There won't be any front-facing buttons, but the phone is expected to feature a dual rear camera and a fingerprint sensor. While it's true that the Evolve X will only be available in India and probably a few other countries in Asia, the same smartphone will be launched in the rest of the world under a different name: BlackBerry Ghost Pro. They've had several all-touch screen devices now. Unless you're talking about the fact that they're going with a modern slim top/bottom bezel design, in which case it'll be greatly appreciated as they can maximize screen real estate without going the route of the notch. It cracks me up that people equate physical keys to not living in the present. I guess all of those 2-in-one’s and physical keyboard attachments made by Samsung and others means that they aren’t living in present either, lol. On-screen keyboards take up space when in use. THAT is wasting space. And because it’s my CHOICE to use a great, innovative physical keyboard. I know that may be a hard concept for you you to follow, but try anyway. They KeyONE and Key2 are great phones. Believe it or not, there are people out there that still don’t like virtual keyboards. But I do admit, I can’t use my Key2 for all my smartphone needs. I do use it for all my calls, texts, emails, etc. I am going to purchase a Honor Note 10 when it’s released as a secondary device for my gaming, videos, and other entertainment. They still have to work on their pricing and to focus on services instead of having a litigious mindset. You’re still parroting that misinformation? You know as well as I do that BlackBerry has nothing to do with the pricing on their branded smartphones anymore, and they’ve been focusing on services since Chen took over. As for litigation, it’s called “protecting your IP”. Funny how you were fine with Apple litigating over shapes and generic names like “App Store”. I didn't say anything about blackberry having anything to do with pricing of their products. What the heck, did you just see that I commented and just decided to say something? I've never been fine with anything Apple has done. I don't even have an iPhone or any iDevice at the moment. You responded to a comment that mentioned BlackBerry and them starting to live in the present, so of course you were talking about BlackBerry. It’s typical you to deny what you flat out did. Just own up to what you do for once in your life. You’re fabricating, as usual. We both know when you did it. Omg, I responded to a comment. So what? It's typical for you to try and find some fault in my comment that doesn't exist. I don't have to own up to anything that I'm not guilty of. I didn't say nor imply anything about Apple here or on any article. You are the one who claims to own an iPhone, remember? LMAO! Your responded to a comment that mentioned BlackBerry and then you said that they (meaning BlackBerry) has to work on their pricing. Who else would “they” be when responding directly to a comment that mentions the entity by name? It’s so typical of you to walk back your statement and say you meant something else when you clearly didn’t. As I said before, just own up to it for once. Yes, you did, and we both know when you did. You’re not fooling anyone here. It's so typical of you to have a problem with something that I've said just because I said it. I'm not walking back anything. You're clearly trying to start something because you didn't address the person who brought up blackberry in the first place. Even so, my original point still stands. I'm not trying to fool anyone. I'm not going to take credit for something that I didn't do. It’s so typical of you to lie about what you do so you can play the victim. You’re also forgetting that you mentioned something about litigation. What other company would you be referring to in your comment other than BlackBerry concerning litigation on a BlackBerry article? Especially when they are in the middle of litigation right now, and you’ve made several comments in the past about them concerning litigation? Stop playing the victim for once and own up to what you’re doing. You’re not fooling anyone, and you know it. Don’t know what you keep denying it. Just admit that you don't see a fault in my comment. You only had a problem with what I said just because I said it and you know it. So what if I mentioned litigation. That still doesn't change the fact that the guy I responded to was the one who brought up blackberry, but you refuse to call him out only because you are afraid to. I'm not playing the victim. I'm not responsible for your conjectures. And yet, I do see the fault in your comment, which I pointed out. Just admit that you were taking potshots at BlackBerry (again) and be done with it. You’re just digging yourself into a whole the more you deny the obvious. You’re that afraid to just admit the truth? LMAO! You mentioning “litigation” is what further buried you, and yet, you still deny what you did. And him bringing up BlackBerry means “monkey see, monkey do” for you, I suppose. He mentioned BlackBerry, and you just couldn’t resist taking a shot at them. Now you’re playing the victim because you got called out on it by me for it and your continued misinformation about BlackBerry still making smartphones, so you’re playing the victim, as usual. I’m not responsible for you being in denial about the truth. Screen size? This looks tempting. It looks tempting but knowing what BB has done lately this is likely to come with a 6 series snapdragon CPU, only 4 GB RAM and just 64 GB of built-in storage. Then the price is likely to be near premium level instead of the mid-range that it is. my next phone will either be the pixel 3 or key 2. i will put the iphone x in the drawer for awhile. Iphone X has been a disappointment for me. I don't see any reason to get it. The Pixel 3 will definitely be a beast of a phone. I would consider it, but the S9 and the Note 9 have been calling my name. Hopefully, Google won’t have the plethora of issues with the third generation Pixel like they have the last two generations. So what issues have you been having on the Pixel that you supposedly own from commenting so much about the issues? So where is the Imgur of of your BlackBerry KEYᵒⁿᵉ that you have claimed to own since you’re always commenting so much negativity on BlackBerry articles as if you are an actual BlackBerry user? And no photoshopped images like the last time that you hastely took down when I called you out for it.
" I would consider it, but the S9 and the Note 9 have been calling my name." He's too funny! Biggest anti-Samsung troll around back in the Mxy days, and now all of a sudden...their devices are calling his name... Do you honestly think this clown owns a KEYone? Lies to justify his trolling, simple. Exactly! I’ve been saying this about him since his mxy days and he claimed to own a Motorola smartphone and a Note 4. He just lies about what he owns to justify his trolling, and that’s why he can never post proof when asked. He used to hate on Samsung so much back in his mxy days. He’s just setting it up now so he can “justify” his trolling of Samsung later. He asked me to post an Imgur about my owning an iPhone 8 Plus, and I did. He’s been silent about me posting pics as proof ever since and deflects and dodges every time I ask him to post proof. He doesn’t own a KEYᵒⁿᵉ and he knows it. He’ll respond soon with some lame excuse about not posting proof, too. Why does it matter to you what some guy on the internet owns and doesn't own? Is it really that big of a deal for you? You own an iPhone. Ok cool. Do you want a gold star or something? LMAO! In other words: “Meanestgenius and aegislash are absolutely correct. I’m just lying about what I own to justify my trolling, and that’s why I can’t provide proof. Otherwise, I would just so I can one-up Meanestgenius.” There. I fixed your comment for you. By the way, thanks for admitting that you don’t own a KEYᵒⁿᵉ, lol. It's funny thinking that I care so much about getting validation from some random guy off the internet. Like anything you say is going to affect my paychecks or the tech that I own or have owned. Newsflash, it's not. I don't care about this as much as you do. I don't have anything to prove to you or your other persona ageislash. Lol if you really think that's me admitting something, then you have really lost it. Is it really THAT big of a deal if I owned a KeyONE? Do you want me to say it again? I don't have a problem with the KeyONE. I never did. I DO have a problem with the price and the fact that it's not unlocked for all carriers. I already know that you're going to prepare your usual conjecture filled response to that one, but I don't care. I have never had a problem with the KeyONE. I do think it's a good device. Is it the best device compared to what I can get for the same price? Debatable, but ultimately no and once again, I fault the price for that. So no, you didn't fix anything.